Cycling at Wash Park is one of the finest things this city has to offer. 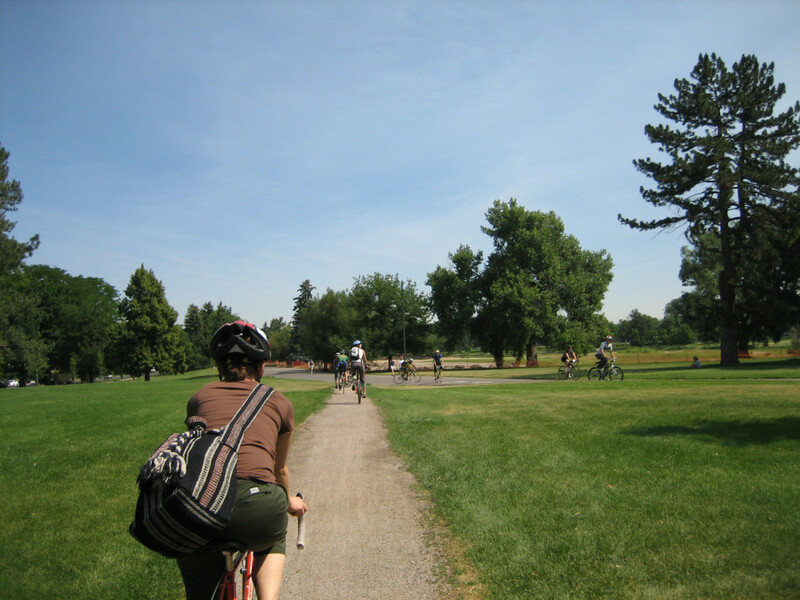 Washington Park is one of the oldest and most classic bicycling spots in the Denver area. People have been riding and racing around this beautiful park for decades, although the crit races are no longer held here. Be aware that there is a posted speed limit of 15 MPH around the park’s internal roads, and bicycle cops will occasionally be found enforcing them, and you don’t want a ticket. Just keep speeds down, be respectful of other users, and you’re sure to enjoy the beautiful scenery of the park and make some new friends. Wash Park is easy to find, either by bike or by car, with plenty of parking. You can access it easily from the Cherry Creek Bike Path, just bop up Downing street and head south a couple of blocks. People do laps in both directions in the park but counter clockwise is the norm. Do yourself a favor and pay a visit to this park before you leave town. It’s one of the finest things about our lovely city. Take time to explore the entire park and even the surrounding historic neighborhoods. You can lay in the grass, do some push ups, even join in a game of volleyball after your ride. It’s wildly popular for all kinds of outdoor enthusiasts, cyclists high among them. Click here for directions to Wash Park.